It’s time for week 2! How are we all? Surviving? Maybe don’t do what I did and get hooked on Brooklyn Nine-nine right in the middle of your deadlines/ revision. Let’s see what we’ve got going on this week. If you are interested in doing your own bit for Roses, the uni is currently looking for stewards to ensure that the weekend runs smoothly. You would be responsible for helping guests with any queries, offering directions and taking questions and problems to the relevant supervisor. For more information, click here. This week in Lancaster is the National Student Money week. Head down the Alex Square on Thursday, from 10am to 4pm to meet the members of the Fees and Funding team to get some money-saving tips and ask your questions! And if that wasn’t enough, don’t miss out not he chance to win a trolley full of shopping or even a Kindle Fire! 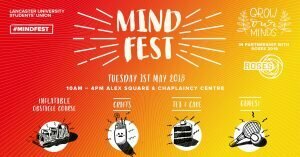 Mind Fest is back and better than ever! Come down to Alex Square and the Chaplaincy centre from 10am to 4pm on Tuesday to get involved in inflatable fun, sports, meditation, free food and so much more! Don’t forget our weekly quiz on Wednesday at 7:30pm. 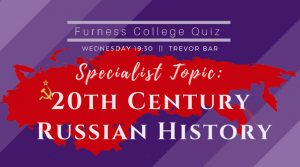 You’re going to want to bring a history fanatic for this week’s specialist topic: 20th Century Russian History! As always, £1 a head to play. Take a break from coursework and revision and come to our welcome back coffee morning, hosted by your welfare team – Friday 11am-2pm. You can’t say no to some free breakfast! Are you moving on to be a post grad and need some extra pennies? 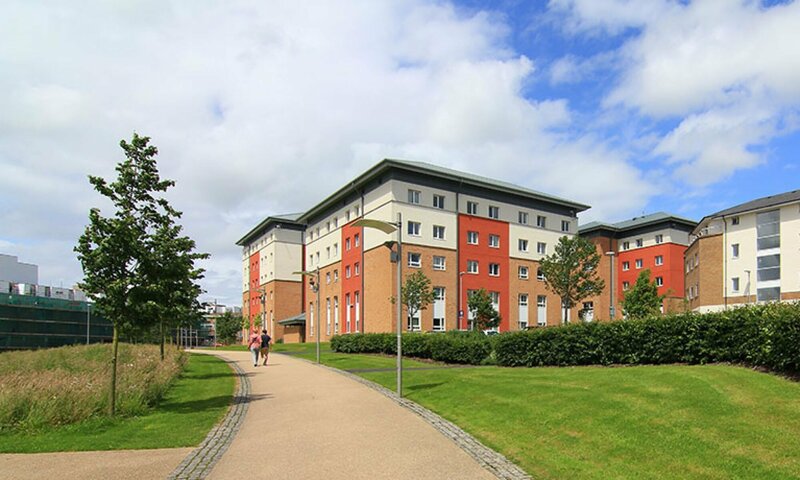 Furness are looking for Assistant Deans for the academic year 2018/19. You will be working 11.5 hours per week on an 11 months fixed term contract – Sept-July (NB: for Tier 4 international students these 11.5 hours contributes to the 20 hours of work permitted whilst in the UK) and working on grade 3 rate of pay (£16654-£18263) pro rate plus annual leave. For a job description and application information please email your contact details to assistantdeans@lancaster.ac.uk. The deadline for applications is noon on 21st May 2018 and interviews will take place week commencing 11th June 2018. And thats it for this week, folks! Good luck to all with exams this week, we’ve got faith in you! Fingers crossed for some warm weather to cheer you all up.